Heartly welcome to all visitors! Peace, contentment and joy are some of the benefits of practising Sahaja Yoga meditation. This form of meditation gives us the ability to use the power that is already within us. This helps us to effortlessly and spontaneously achieve a peaceful state of balance, well-being, harmony and self-knowledge. Direct experience that is felt within leaves no doubt about our universal nature. The divisive contention that we are different and limited to different faiths, nations, colour, class, race and caste is overcome as we experience a sense of togetherness — that we belong to one Divine family. 13.08.2008 - "The Long Night of Sahaja Yoga"
In a world seeking for new solutions to the problems facing the humanity, trying to reach to deeper meanings of life, Shri Mataji Nirmala Devi, recognised as the "Messenger of peace" by Ayatollah Rouhani of the Shia Muslim community in Europe and as an “Avatar of the modern era” by Claes Nobel, reveals us a path to the realisation of a more balanced society, in which transformation and peace will first occur within each individual. 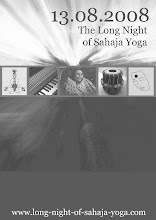 "The-Long-Night-of-Sahaja-Yoga" is another great chance for you to learn by experience that amazing technique of meditation. Selfrealisation will give you selfknowledge and will allow you to get into a peaceful state within seconds. During the evening and night will be different events throughout the world to show you the wonderful Sahaj-Way-of-life. In her life time, Shri Mataji Nirmala Devi has inspired many people, politicians, doctors, scientists with the work that she has done and is doing from being apart of liberating India to bringing peace into the heart of each individual. Those who have been inspired have made films and documentaries to let others know about her benevolent work. The ability to free the mind of thoughts and other forms of negative feelings are only possible through meditation. Studies have found that Sahaja Yoga’s meditation techniques are effective in treating a host of ailments, from asthma to mental health. Some studies have reported significant benefits from the practice of yoga, which employs weight bearing and balancing postures. In one study, a system of meditation called Sahaja Yoga changed EEG readings of brain waves and reduced seizures. Other studies report a 50% reduction in seizures and an overall decline in the number of attacks per month. Sahaja yoga improved the airways and had some benefits on quality of life and mood. Yoga had more positive effects than the relaxation techniques alone. In fact, the improvement seen was equivalent to that seen with inhaled steroids, according to the researchers. Meditation is part of my every day life. Even on the tours and promotion trips that we do with the band i wake up early enough to have a 20-30 minutes meditation before i start the day. Also in the evenings i do a small meditation and a footsoak in the method of Sahaja Yoga. My life has changed totally after i started on my Sahaj path. If i compare myself with the person i used to be, i'm somehow much calmer and balanced than before (actually i used to be quite anxious and unstable person). In a way, i guess my meditation even brings some kind of calmness or consideration about the spiritual factor to my band mates and environment too. I honestly recommend the Sahaj meditation for everyone looking for their own inner peace. Matt Malley, the bass player of Counting Crows, who was practising Sahaja Yoga for over 14 years, says he practiced it long before Counting Crows were formed. Yes, I finally have my own album out in the world! It’s now available on iTunes and Amazon.com. It’s called “The Goddess Within” because it is comprised mostly of songs I wrote for Shri Mataji. In 1995, Shri Mataji asked me to write songs for Her and this record is a lot of those songs. Shri Mataji is spreading essential values and traditions all over the world. Her personality is magnanimous and many have found refuge and solutions to life’s hardest questions. Education alone is not enough to live a life of contentment, dharma and benevolence. The Mayor went on to add further, that through Sahaja Yoga, Shri Mataji has transformed thousands of people all over the world. She has forged amicable relationships amongst all people of the world. Followers of Shri Mataji were present at ceremony in large numbers. I admire Shri Mataji Nirmala Devi's work, her charitable actions to support the needy and disadvantaged in the world. I admire her teaching, which allow the people in the world to get to know their own self, their own soul. Her teaching helps to win confidence and joy, it gives an understanding of the values of the physical and mental health. As founder and director of Sahaja Yoga, people the world over have benefited from her teachings, and Canadians are no exception. British Columbia is home to people of many different races, languages, cultures and religion. Through our promotion of multiculturalism and mutual respect, my Govt. is dedicated to making British Columbia a place where all who visit and make their home here feel welcome. We are working hard to built a society at peace with itself and free of racism and discrimination. Although, I had the opportunity to meet with you only once, it was a most memorable event and my family and I were touched by your graciousness, knowledge, and love. Clearly, your experiences with Mahatma Gandhi and others makes your presence even more significant - especially to a community which mirrors all of the problems and potential of America itself. Again, my heartfelt welcome is extended to you and your family. It is a time of great restoration, revitalization, and transformation in this city and my certainty in its future has only been heightened by the auspiciousness of your presence. 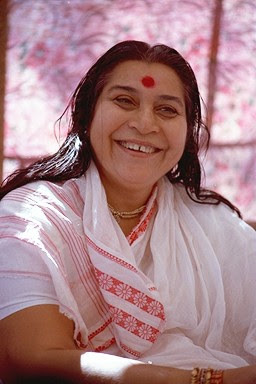 Shri Mataji Nirmala Devi Shrivastava the Mother is recognized internationally as one of the most significant spiritual forces in the world today through her development of a simple meditation technique, sahaj yoga, which enables the experience of self realisation and the breakthrough of new awareness. Shri Mataji Nirmala Devi has distinguished herself as one of the most significant voices on world peace today, having been nominated twice for the Nobel Peace Prize for her humanitarian achievements. As founder of Sahaja Yoga, Shri Mataji has helped hundreds of thousands of people in 100 countries around the world enjoy more peaceful, healthy, balanced lives. Austinities have enjoyed the benefits of Sahaja Yoga through weekly seminars offered at our public liberies, recreation centers and neighborhood community centers. Will Wynn, Mayor of Austin City proclaimed March 21, 2008 as Shri Mataji Nirmala Devi Day. Peace, Non-Violence and Empowerment – Gandhian Philosophy is the only way for a culture of peace and love. The Australian study in 48 children diagnosed with ADHD found Sahaja yoga meditation led to an average 35% reduction in symptom severity over six weeks, and enabled many to reduce their medication. "We had remarkable results. Overall there was about a 35% improvement in symptoms, which was significant," Manocha says. "Six were able to go off medication and their behaviour normalised, 12 halved their medication and another group reduced it by about one-quarter. "Feedback from children was the best, things like 'I always knew what I was doing was not good and upset people but now I can control it'." The present study looks to evaluate the effectiveness of the meditative practice of Sahaja Yoga as a treatment for the symptoms of anxiety and depression. It compared a ‘waiting list’ control group, a cognitive-behavioural (CBT) based stress management group and a Sahaja Yoga meditation group. The results show that, compared to controls, the participants in the Sahaja Yoga group reported significant reductions on all measures of symptomology, however, the CBT based group showed no such reductions. Limitations of the study, barriers to the use of Sahaja Yoga in mental health services and the need for future research are considered. Vishwa Nirmala Dharma Educational Society is holding a free large-scale meditation workshop. This public program will give a clear explanation of the chakras, kundalini and their connection to the nervous system. The workshop will involve a simple guided meditation to awaken the kundalini energy. NSW: Meditation found to relieve occupational stress AAP News Australia June 15 2001 "A meditation technique may be the most effective form of treatment for occupational stress, a new study to be unveiled in Sydney tomorrow has shown. The preliminary study by the Royal Hospital for Women's (RHW) Natural Therapies unit trialled the sahaja yoga technique of meditation based on "thoughtless awareness". In recent years, the American public has been soaking up an India-based meditation practice known as yoga. The art has become so popular, that it has been tried in Rikers Island prison and has even spawned a Queens Public Television show. Sahaja Yoga is an open form of meditation that focuses on awakening the kundalini, an energy within the body that when ignited helps to achieve self-realization. “People of different countries and different religions can experience Sahaja Yoga,” said Anna Mancini, a QPTV producer. Two studies carried out at the Department of Complementary Medicine at the University of Exeter looked at a variety of techniques. The first compared patients taught to carry out Sahaja meditation with another group using other forms of relaxation, such as "positive affirmation", visualisation and progressive muscle relaxation. Sahaja meditation aims to create a state of "full or heightened mental alertness". The researchers found that after four months, the patients, who had moderate to severe asthma which had failed to respond to conventional drug treatment, showed distinct differences. Through Sahaja Yoga, Shri Mataji has transformed thousands of people all over the world. She has forged amicable relationships amongst these people by showing our culture in its true light. You have dedicated you entire life to the establishment of morality and to the evolution of the consciousness of humanity through love and compassion with the aim of self knowledge. Apart from improving one's health, Sahaja Yoga meditation can lead to shunning of habits like smoking and drinking. "Sahaja Yoga is a scientific technique with no scope for blind belief," office bearer Sriramamurthy stated. This is the next stage in the evolution of human consciousness. It gives us new awareness beyond our limited minds so that we can evolve towards becoming balanced, peaceful and compassionate. This will lead to experiencing universal brotherhood of man. Claes Nobel, Chairman of the United Earth Organisation:"Shri Mataji's discovery brings genuine hope to humanity. "Sahaja Yoga meditation provides a practical and free means for people to achieve a peaceful and balanced state in their lives. It helps us to reduce illness, live longer and rediscover the sense of shared values that derive from both a traditional family life and respect for the Earth through the practice of an environmentally aware lifestyle. Attending one of Sahaja Yoga meetings, or Sahaja Yoga workshops, will allow you to experience this meditation. You will learn how to meditate at home and how to keep in balance. The techniques are easy to learn and practice. No physical exercises, postures or special clothing is required. Shri Mataji Nirmala Devi has dedicated her life to triggering the spiritual ascent of mankind through Self-realisation, reclaiming the role of women in the spiritual evolution, and guiding humanity to correct today's moral dilemmas. 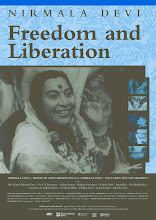 It seems that the light of Gandhi's vision is being brought to fulfilment by this great lady who is revered as the compassionate Divine Mother by her followers, as the "Messenger of peace" by Ayatollah Rouhani, an Avatar of the modern era by Claes Nobel, grand newphew of Albert Nobel (the creator of the Nobel foundation) and Chairman of United Earth. We have to have now the last breakthrough of our evolution. Once it happens you will be amazed that we’ll know the absolute truth. There cannot be any argument about it. And also these centers that you know here are a mystery to you, but you start feeling them on your fingertips. That is Self-knowledge. These centers are responsible for your physical, mental, emotional, also spiritual being within yourself. So all your personality, the totality of it, expressed through these centers. These are subtle centers within us, and these subtle centers are sometimes exhausted because of our extreme nature. So this power which we call as kundalini – kundala means coils, which is in three and a half coils within us in the sacrum bone. That means the Greeks knew that it was a sacred bone; they call it sacrum. This power is actually your individual mother and she knows everything about you. She knows about your past and she knows about your aspirations. It’s like a tape recording, I should say, of ages within you in this coiled power. It is like a primule of a seed. 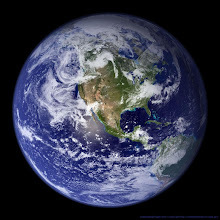 When you put the seed in the Mother Earth then it sprouts by itself, spontaneously. That is what is Sahaja. Is all built in within you and you have every right to achieve this state of selfhood, which is in the fourth dimension of your awareness, which we in Sanskrit call as turiya, is the fourth dimension. All this is within you. All this power is within you. You are built in that way. Spread the Message of Selfrealisation!